Home Energy Audit - AP Environmental Science! 1. 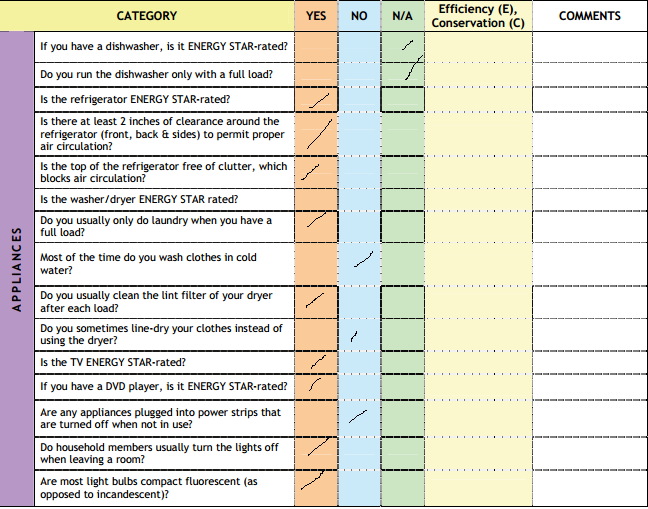 What is the difference between energy efficiency and energy conservation? Energy conservation and energy efficiency both mean using less energy, but energy conservation refers to any behavior that results in not using energy at all, such as turning off the lights when leaving a room. Energy efficiency is a technological approach to using less energy—requiring less energy to perform the same function. In this case, less energy is used and it lasts longer. An example is a compact fluorescent light bulb that will use less energy to illuminate a room. I believe that my home isn't really efficient because since I lived in the apartment I know that the electricity and the energy are being used a lot. Plus since the electricity is free I think that we over use and waste some of the energy. 4. What are three things your household could do to conserve more energy? Less electronics, more solar power, and more natural energy. When I think about natural energy is that I'm talking about air, sun light, and trees. For example, instead of using fan's I can open the window and let the air go in, and also if its too dark in my house instead of turning the lights on I'll just let the sun shines it up so its brighter. 5. Are you willing to make these changes? Why or why not? 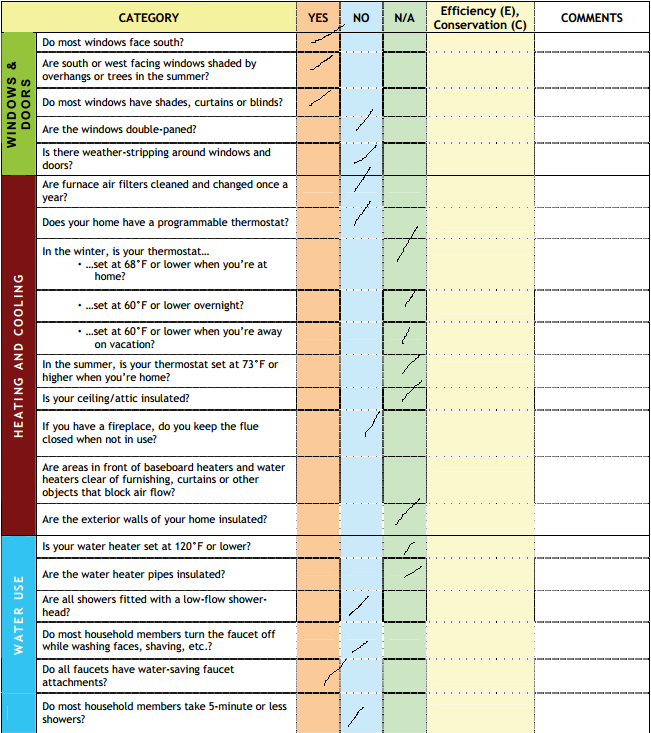 I will make all of these changes because it's actually will help me house to save a lot of money and energy. what are some reasons many people use more hot water than they really need? Hot water can be used on anything. Such as, for cooking, bath, and also for daily drink (coffee, and etc ). I will build a house that has a lot of windows and solar panels and also don't forget about the plants and trees around the house. not included in this audit? What were they? I believed that all of them were covered and i don't have anything to add on.